Scientists finally decoded the genome of the bacteria that caused the plague. In the 14th century, people used to scare just by hearing the word plague itself. Bubonic Plague bacterium which causes plague kills more than three thousand people per year even now also. This finding will surely help in treating the plague disease and also immensely helpful in creating efficient vaccines for plague. Even the WHO is keen on looking for it. However, scientists are now in fear as this genes information can be used by anti-social elements to create bio-chemical weapons. If that happens, human kind will face one more pandemic in the form of plague. The word “Black Death” still creates Goosebumps in medical researchers. It is the one of the worst ever pandemics in the history of whole mankind. It reduced the world population significantly. More than 30% of Europeans lost their lives in between 1346-53. Historians opined that it took more than a century to recover from the pandemic completely. 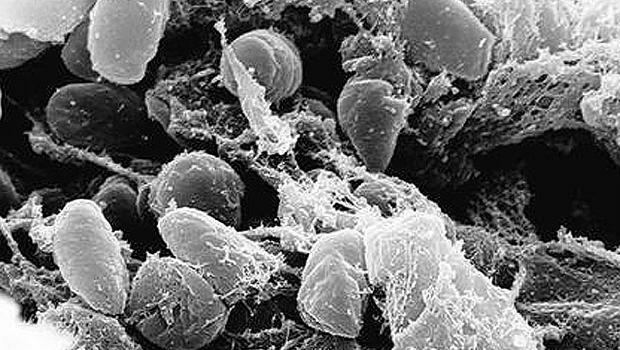 Medical researchers now proved that a pathogen, Yersinia pestis bacterium, is responsible for this epidemic and it caused several versions of plague. Europe suffered mostly because of this deadly disease. Until 1960’s, it was believed that close to 20-30% people died because of this endemic. However during 1960’s some researchers came up with their estimated figures and most of the results revealed that the percentage is close to 30-50%. In absolute numbers, though the official records are not there, 75 to 200 million people died because of this epidemic. The world population reduced from 475 million to 350 million. Though there are several opinions on the exact place where exactly this pandemic started, all the researchers commonly agree with the fact that plague started in Central Asia. It travelled along the internationally popular Silk Route and landed in the Crimea by 1343. For the first time Europeans experienced a pandemic. From Crimea the bubonic bacteria travelled to Mediterranean and to rest of the Europe. As everyone knows black rats played a critical role in spreading the disease. Some researchers came up with a strange yet acceptable logic. According to them, more than 90% of population is living in rural areas at that time and the plague is successful in reaching the every corner of the European continent because of rats only. If rats were not the carriers of plague, the effect of plague will be surely reduced. The name Black Death was given to this pandemic in the recent years and people from 14th century used to call this as “Great Pestilence”. The name Great Plague was also used by common public. Sweden and Dutch newspapers, while describing this pandemic used the world black for the first time in the 17th century. The term black was not used in the reports to signify the black colored marks that were observed in the patients but to signify the gloom, sadness it spread across the world. As per the sources available, J.I. Pontanus, used the word “atra mors” to describe the pandemic occurred in 1348. Atra means black and the term Black Death is being used from then onwards. German reporters used this term frequently and it slowly became popular. In 1823, after the term Black Death was accepted by England, this one got worldwide recognition. From then onwards, the words Black Death is being used to signify the terrible deaths took place during the 14th century. According to the reports of that time unhygienic conditions also played a key role in spreading the disease. Rats are common in the houses and even in ships also, rats can be found. According to some theories, some Italian ships while returning from Constantinople carried some infected rats on their ships (unnoticing) and this resulted in the spreading on the epidemic. As per the scientific data available, the ships at that time can easily navigate 40-60 kilometers per day which is very low when compared with present day technologies. However within 15 days, the ship is able to travel 600 kilometers and this also played an important role in spreading the plague faster. As per the official data available, Weymouth, Italy was first in the list to towns/cities that got affected from Black Death. Bristol was contaminated and the coastal towns of Ireland are next in the list. In no time, the epidemic spread to Paris and other important trade centers like Colchester and Harwich. By the end of 1349, England was badly affected by this disease. In the meantime, Norway was also affected and Germany also faced some serious troubles with this epidemic. By the end of 1350, whole northern regions of Europe were ravaged by Plague including Sweden and Denmark. Scientists are yet to come to conclusion in some aspects as far as Black Death spread in Europe is concerned. There are no successful evidences to show that the people from Finland and Iceland are suffered from Plague. Low population density and minimum contacts with other regions might have saved these two countries. Historians usually point out that so many warriors from Europe tried to conquer Russia but failed. The list may include warriors like Napoleon to Hitler. But the plague succeeded in doing so. In 1351, the cases of plague were reported in Pskov but subsided eventually. In 1952, the outbreak in Novgorod ravaged Russia and for the next two years almost every part of Russia is infected by this disease. Though several Muslim countries were also affected by plague, the exact number of deaths is not known. The attack of Plague on the European regions was not confined to this period alone. Several outbreaks took place thereafter but none of them is as severe as the first one. The outbreaks occured in 1576–77; 1635–36 across different countries of Europe had killed many people but the total death toll in not in comparison to the first outbreak. Popular as third Plague outbreak, the plague claimed more than 10 million lives in India alone in between 1855 and 1859. From 1500 to 1850, some Muslim countries constantly suffered from Plague but the exact death toll numbers are not available from these countries. Until the end of 18th century, people have different opinions on the spread of the Plague. Some medical experts are in the opinion that it is highly contagious and airborne. Though this is partially true, Plague is not airborne. Though a distinct type of plague, pneumonic plague spreads through air; the chances of getting effected by it is very less. In the early 19th century, medical experts came to know that Plague is spread in unhygienic conditions and rats play a crucial role in spreading the disease. Then they tried to explain the whole cycle of plague. The black rat which is commonly seen in houses is not affected by bubonic plague bacteria whereas Wild Rodents are more prone to this. Rodent group affected by this bacterium will get killed in ten to fifteen days. When the infected rat fleas bites humans, the bacteria enters into human lymph nodes and results in plague. In the opinion of medical researchers, Groin and neck areas will develop a small bubo and it start growing. In most of the cases, these black bubo will appear within three to five days after the bacteria enters into body (trough rat bite) and in more than 80% of cases, people will die within a span of three days. Now a days, several medicines are available to treat plague. Plague vaccine is proved to be effective in preventing this disease and the antibiotics can surely cure the disease. However doctors are in a worry as the bacteria is becoming more and more drug resistant. Drug resistant Plague bacterium was found in Madagascar in 1995 and the plague caused by it was reportedly observed in Madagascar in 2014. Though the plague outbreaks can be seen in every part of the world, the death toll decreased significantly. In one of the recent studies some strange facts about Plague revealed. Patients who had already suffered from plague are more prone to Psoriasis than normal persons. This is indeed strange as the scientists are busy in finding out the factors that are causing excessive skin cell growth after the complete cure of plague. Some doctors are in the opinion that the medicines or vaccines altered function of T-Lymphocyte and that’s the reason why it is damaging the healthy skin cells also instead of attacking the dead skin cells or infected cells. Somehow, the researchers are now concentrating on psoriasis also and they will surely come up with some good result which is positive news for patients suffering from Psoriasis. Some medical experts are in the opinion that Plague research can also help in Psoriasis treatment. Psoriasis is not 100% curable despite of so much advancement in the medical field. However, the hygienic practices and awareness in public health decreased the impact of psoriasis. Along with Plague, if the research team finds out the exact reasons for Psoriasis, millions of people suffering from this disease will get benefited for sure.